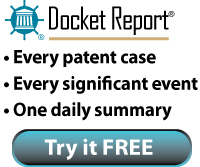 The court granted defendants' motion to dismiss plaintiff's claim for a declaration of patent infringement for lack of subject matter jurisdiction. "Defendant, through its principal, declares under penalty of perjury that it has ceased the allegedly infringing conduct. . . . Defendant here has ceased the accused activity, employs a different design, and plans to destroy the prototypes. . . . [I]t is not clear that Defendant here stopped the accused activity prior to the commencement of the lawsuit. This is, however, a distinction without a difference. . . . Because Defendant has ceased the allegedly infringing activity, an opinion of declaratory judgment would amount to an advisory opinion based on hypothetical facts. Defendant has made sufficient representations to remove any reasonable apprehension of infringement. Further, Defendant is not currently infringing and no harm appears immediate."